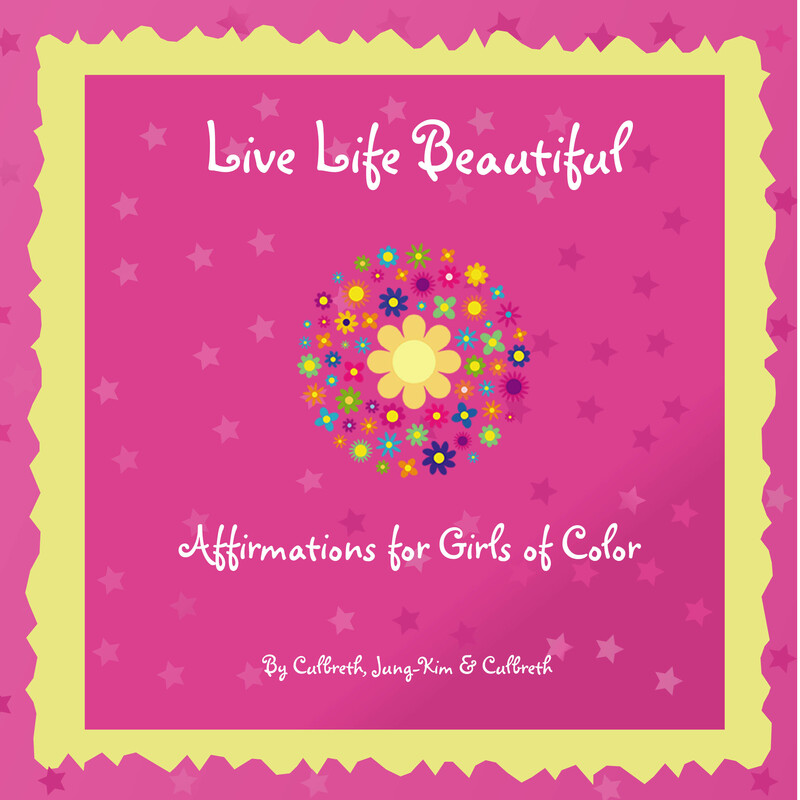 December | 2014 | The Intraracial Colorism Project, Inc.
E-book edition of Live Life Beautiful: Affirmations for Girls of Color is available now!. 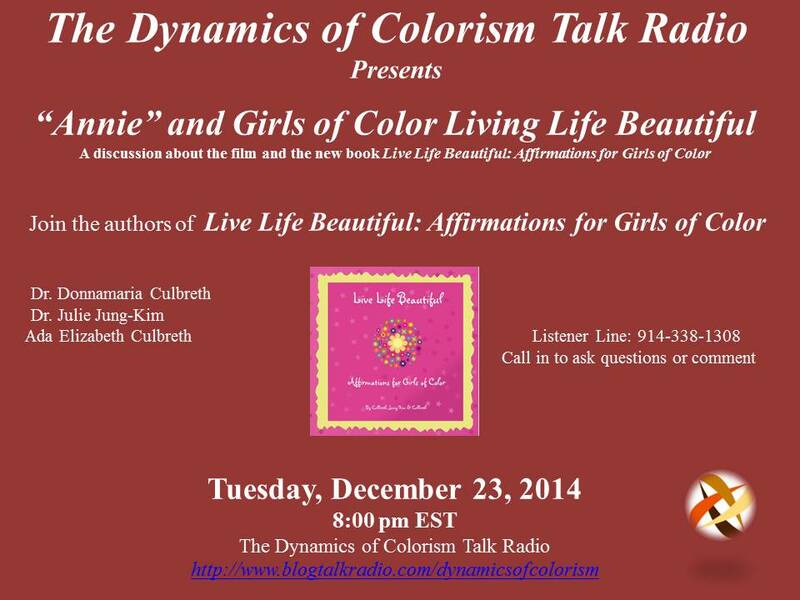 Affirmation topics include colorism, hair, standards of beauty, cultural identity, cultural pride, diversity, ethnicity, education, friendship, making good choices, self-love, self-esteem, self-respect, self-pride, self-identity, and STEM among other topics. Dr. Culbreth is the founder and CEO of The Intraracial Colorism Project, Inc., a project dedicated to addressing colorism. She is also the founder of I Am Beautiful Global, Inc., an organization that focuses on girls of color learning to love and embrace the color of their skin. Recently, she created the National Girls and Women of Color Council, Inc. (NGWCC) which will be a worldwide organization for women and girls of color. 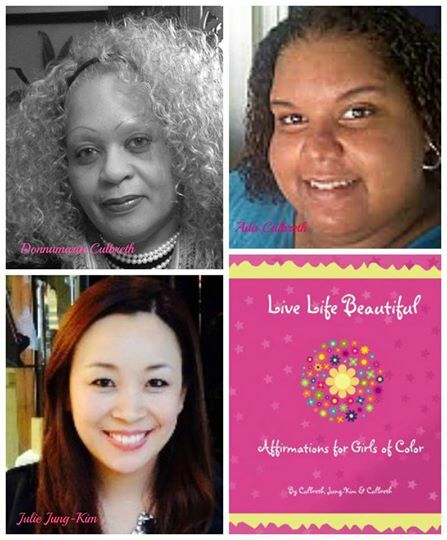 The mission of NGWCC is to bring together girls and women of color worldwide to address race, color, collaborate, discuss, and take action to eliminate the numerous barriers that continue to stagnate the psychological, emotional, physical and social growth and well-being of women and girls of color. NGWCC will officially launch in 2015. Dr. Culbreth believes in empowering girls and women of color to reach higher ground in life. She focuses on encouraging them to embrace being beautiful on the inside and outside, the importance of positive thought processes, embracing diversity, to live life beautiful by focusing on the foundation elements of beautiful, to dream in color as they reach for the stars, and to believe in themselves. She focuses on girls of color defying stereotypes and breaking down skin color and racial barriers and biased standards of beauty that continue to ignore the diversity of girls of color. Dr. Jung-Kim currently serves as the and Chief Operating Officer of I Am Beautiful Global, Inc. and believes that it is important to build a society where girls of color are valued. In today’s culture, everywhere that girls of color turn, they see inaccurate depictions of themselves in media, are told how they do not fit the ideal beauty standard, and face different forms of discrimination. IAB recognizes the negative impacts that girls are facing on a daily basis and believe it is vital to walk with them to redefine beauty for themselves—on their own terms. Through this type of mentorship, IAB hopes that girls of color will know how truly BEAUTIFUL they are. 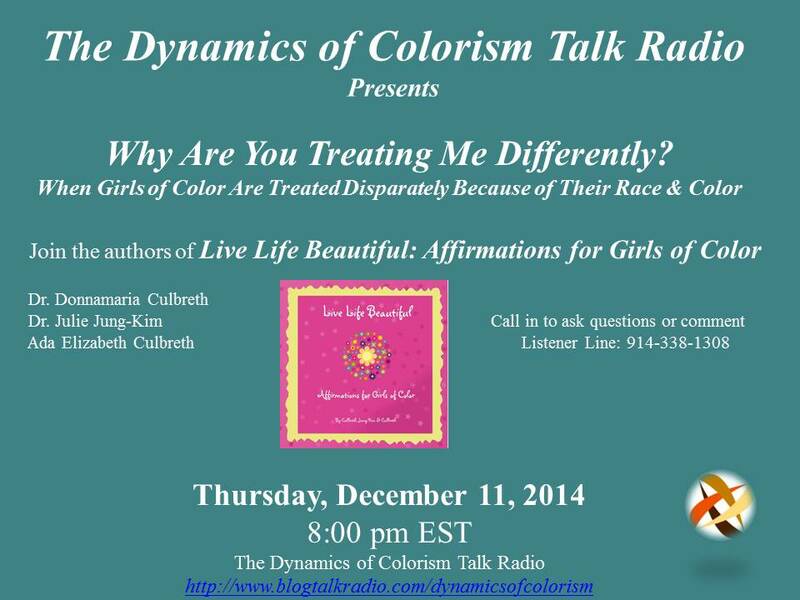 Dr. Jung-Kim is also the co-founder of the National Girls and Women of Color Council, Inc. (NGWCC). Ada Elizabeth Culbreth, is the Chief Marketing and Public Relations Officer for I Am Beautiful Global, Inc. She believes in encouraging girls of color to embrace and love themselves and to reach for the stars. Believing in themselves and their ability to reach higher ground in life is paramount for every girl of color throughout the world. Ada is also a co-founder of National Girls and Women of Color Council, Inc. (NGWCC). 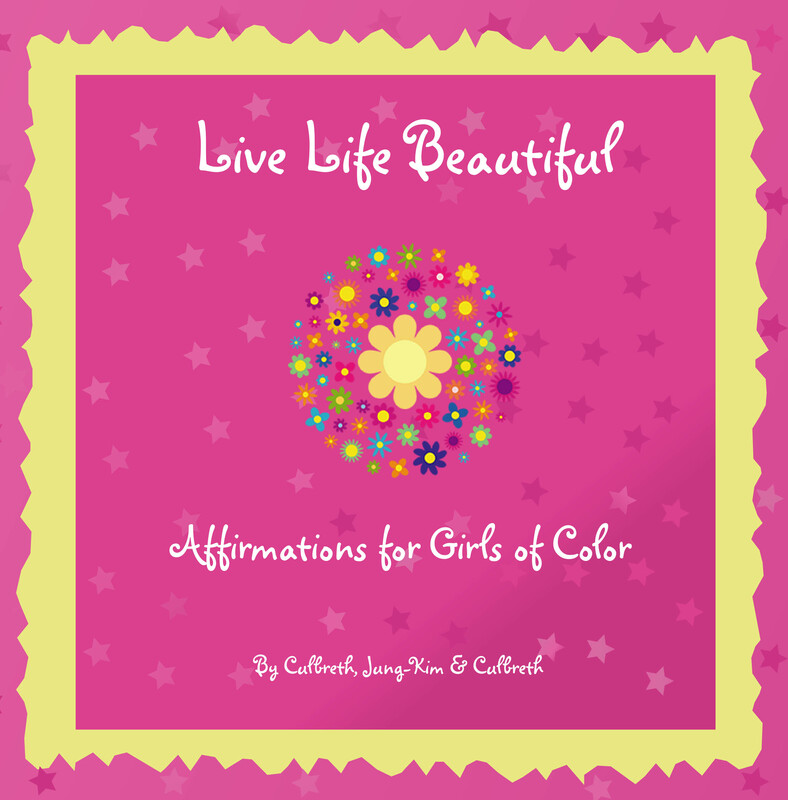 Available at: Complexity Publishing, LLC and I Am Beautiful Global, Inc.
New Book for Girls of Color -Live Life Beautiful: Affirmations for Girls of Color.